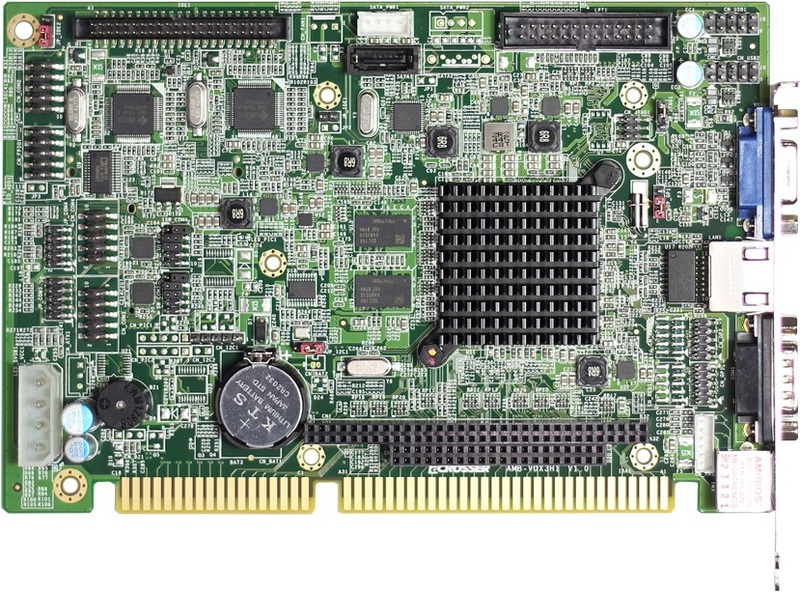 Today, acrosser Technology announced its fan-less ISA Half-Size single board computer, AMB-VDX3H1, based upon the ultra-low power Vortex86DX3 processor with wired networking capability. Acrosser AMB-VDX3H1 is a fan-less ISA Half-Size SBC with PC/104 & ISA Interface featuring the latest generation DM&P® Vortex86DX3® SOC processor with Onboard DDR3 512MB to 1GB SDRAM and 1 xRJ45 10/100 Mbps LAN. The AMB-VDX3H1 offers full and legacy ISA bus following PC/104 2.6 specifications, and supports IDE, SATA, and CF card storage. The SBC is equipped with VGA(DB15) along with 4 USB 2.0 ports, two RS-232/422/485 serial ports, and two RS232 serial ports. There’s also 1 PS/2 port, 1 JST connector, 1 PC/104 Expansion Slot and 1 ISA golden finger. Acrosser AMB-VDX3H1 is a fan-less, small size, low power, rugged-design single board computer which is the best solution for embedded systems in the industrial control, industrial automation, factory automation, transportation, Mil/COTS, telecommunication, instrumentation, CNC machines, MMI, HMI(Human Machine Interface), CTI (Computer Telephony Integration), DVR (Digital Video Recorder), machine tools applications.